Foundation Repair - Pacific Helix Distributing Inc.
Foundation settlement and movement can be caused by building on expansive clay, compressible or imporoperly compacted fill soils or improper maintenance around foundations. Whatever the cause, settlement can destroy the value of structures and render them unsafe. When foundation problems are encountered, contractors turn to ATLAS™ Resistance Pier Systems and CHANCE® Helical Underpinning solutions for commercial and residential repairs. 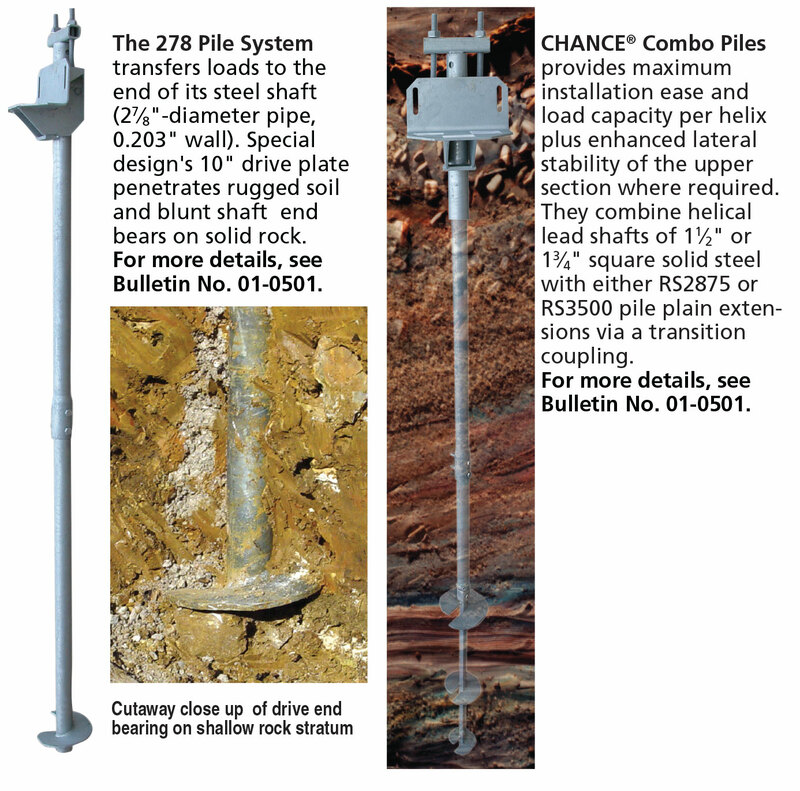 For stabilizing/lifting foundations or retrofitting to increase load capacity, CHANCE® steel piles are installed at intervals around the perimeter at affected locations. 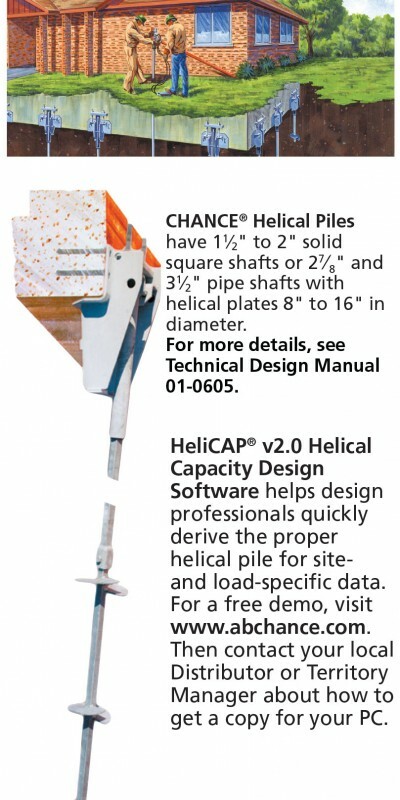 Independent of the structure, the piles are extended to depths which attain the installing torque correlated to the required load bearing capacity. Special brackets are located where needed around the perimeter and secured to the concrete foundation. Then a steel pile is torqued into the soil and connected to each bracket. The brackets permit lifting by hydraulic jacks. Tightening the nuts on the bracket vertical bolts locks off the load.